Wellington, Mar 01 - Sri Lanka have almost ensured their place in the quarterfinals of the Cricket World Cup 2015 after they defeated England by nine wickets on Sunday at the Westpac Stadium in Wellington. Opting to bat first, England got off to a sluggish start with their opener Muhammad Ali scoring just 15 runs before returning to the stands as Sri Lanka skipper Angelo Mathews claimed his wicket. Ali's opening partner Ian Bell fell one run short of his half-century as he fell prey to Suranga Lakmal's express delivery. Gary Ballance also failed to impress with the bat as he was caught and bold for just six runs by Tillakaratne Dilshan. Wellington, Feb 24 - Australian opener Aaron Finch has claimed that he and David Warner are going to have to play as well as they can to try and negate the outstanding New Zealand swing bowlers Tim Southee and Trent Boult, when the two sides lock horns at the Eden Park on Saturday. The venue is tailor-made for very high-scoring, given the reduced distance to the ropes beyond each end of the pitch, which would be only 55 metres from the centre of the wicket on Saturday - a full five metres shorter than Sydney's ANZ Stadium. The reduced boundary length might not prove good for the bowlers given the big-hitting batsmen in both the sides. Wellington, Feb 23 - Google has reportedly won a lawsuit that claimed it abused its market power by forcing device makers that used its Android platform to provide the search engine company's applications. Google was accused of forcing manufacturers to make its search engine the default option on devices powered by Android and coercing smartphone makers like, Samsung, to offer less popular Android applications in order to pre-load, for free, favourites such as YouTube, reported Stuff.co.nz. 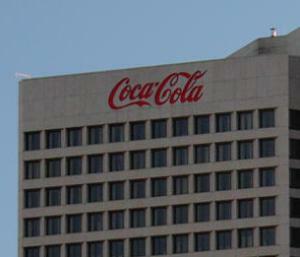 U.S. District Judge Beth L Freeman in San Jose, California, said that the consumers failed to identify the damage that the antitrust laws they sued under were designed to address. The judge gave the consumers' lawyers three weeks to amend some of their claims and refile the case. Wellington, Feb 23 - Kanye West is all set to make a video game based on his latest single 'Only One' as a tribute to his mother Donda and daughter North West, it has been reported. The 37-year-old revealed his plan in an interview with a radio station saying that the idea was that it was his mother going through the gates of Heaven, and one has got to bring her to the highest gate of Heaven by holding her to the light, Stuff.co.nz reported. Wellington, Feb 21 - It sure was a battle of the unpredictables as West Indies left Pakistan humiliated after reducing the Misbah-ul Haq-led side to splinters to clinch a massive 150-run win in their World Cup Pool B clash at the Hagley Oval in Christchurch. Put in to bat first, West Indies put up a respectable total of 310-6 in their allotted 50 overs, thanks to Denesh Ramdin (51) and Lendl Simmons' (50) half-centuries and all-rounder Andre Russell 's brisk 42 off just 13 deliveries. After getting off to a stuttering start with opener Darren Smith and big-hitting batsman Chris Gayle going off for their individual 23 and four runs respectively, Darren Bravo steadied the ship for the West Indies with his 49-run knock before a hamstring injury forced him to retire from the match. Wellington, Feb 21 - The long awaited mega bout between unbeaten US boxing champion Floyd Mayweather Jr and Filipino politician and boxer Manny Pacquiao has finally been agreed upon and it is reportedly projected to be the most lucrative bout ever in the sport's history. Mayweather revealed that the long awaited bout, which had been more than five years in the making, would take place in Las Vegas on May 2. Showtime and HBO would jointly broadcast the bout, which is one of the most eagerly anticipated in boxing since the classic 1975 'Thrilla in Manila' between Muhammad Ali and Joe Frazier , Stuff. co. nz reported. Wellington, Feb 21 - Kanye West has revealed about the friendship between his wife Kim Kardashian and Beyonce, saying that the 33-year-old singer keeps pictures of the reality star on her wall. The 37-year-old rapper said that Kardashian and Beyonce love and respect each other, Stuff. co. nz reported. West added that when Beyonce is working on an album, she has pictures of Kardashian on the wall, because the reality star represents powerful women. Wellington, Feb 16 - India cricket team captain Mahendra Singh Dhoni feels that his side can still improve, despite claiming that their win against Pakistan was to quite extent a very complete game for all of them. India beat Pakistan by 76 runs at the Adelaide Oval on Sunday to start their World Cup campaign on a winning note. Since arriving in Australia in November, India had only won one match, a practise game against Afghanistan, and they were under pressure. And skipper Dhoni knew that it was important for India to avoid losing to Pakistan in their opening World Cup match. After the victory, Dhoni said that he felt the guys did really well because a World Cup opening game against Pakistan is a high-stake game, Stuff. co. nz reported. Wellington, Feb 12 - Former world number one golfer Tiger Woods has admitted that he needs a lot of work on his game and is therefore taking an indefinite leave from the professional tour. The 14-times major champion, who had back surgery last year, withdrew from last week's Farmers Insurance Open at Torrey Pines, his second start of the season, after just 11 holes because of tightness in his back. Woods would be expected to compete next at the February 26-March 1 Honda Classic at Palm Beach Gardens in Florida based on his usual tournament schedule, Stuff. co. nz reported. Wellington, Feb 11 : Taylor Swift has recently faced one of the most awkward questions/statements at the Grammys 2015. Entertainment Tonight host Nancy O'Dell asked the 25-year-old singer if she would be going home with "lots of men" after the Grammy Awards, Stuff. co. nz reported. O'Dell said that she just wanted to show the legs, because as she was telling the 'Shake it Off' singer ahead of time, "I think you're going to walk home with more than just a trophy tonight. I think lots of men." Shocked Swift took a deep breath to bluntly reply that she is not going to walk home with any men, adding she is going to go hang out with her friends and then go home to the cats because men get me in trouble. Wellington, Feb 02 - World number one tennis player Novak Djokovic has claimed that his Australian Open win has a deeper meaning and a 'more intrinsic value' now to his life because he is a father. Djokovic, who defeated Andy Murray 7-6(5), 6-7(4), 6-3, 6-0 to clinch his fifth Australian Open title on Sunday, turned his thoughts to his family, rather than the trophy he had just won. Wellington, Jan 29 : Microsoft head of research Eric Horvitz has said that though machines will eventually achieve a human-like consciousness, they do not pose a threat to the survival of mankind. Horvitz said in an interview that there have been concerns about the long-term prospect that they lose control of certain kinds of intelligences, but he fundamentally doesn't think that's going to happen, Stuff. co. nz reported. Horvitz added that he thinks that we will be very proactive in terms of how they field AI systems and that in the end they'll be able to get incredible benefits from machine intelligence in all realms of life, from science to education to economics to daily life. Wellington, Jan. 26 - A new robot has recently been developed that help take care of people with dementia by recognizing their emotions. 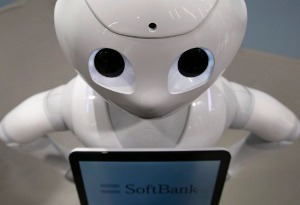 At Nishi-Koigakubo Ninjin Home, a special elderly nursing home in western Tokyo, elderly dementia patients recently spent time with Pepper, a humanoid robot with artificial intelligence being developed by SoftBank Mobile, Stuff.co.nz reported. Said to be the world's first robot designed to serve people by recognizing their emotions, Pepper is set to retail for 198,000 yen on the consumer market in February. 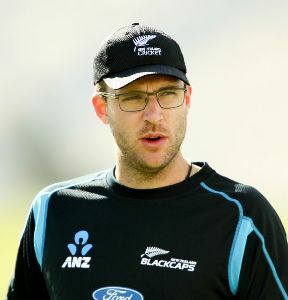 Wellington, Jan 25 - Veteran left-arm spinner Daniel Vettori became New Zealand's most capped ODI cricketer as the hosts went in to bat first in the sixth one-day against Sri Lanka in Dunedin. Vettori broke Stephen Fleming's record career tally of 279 appearances as the left-armer came in for Nathan McCullum in the spinners' rotation for his 280th ODI appearance. New Zealand Cricket president Stephen Boock gave a special presentation to Vettori before play, and the bowler lead the team when they took the field later on Sunday, after posting a 316-run target for Sri Lanka to win, Stuff.co.nz reported. 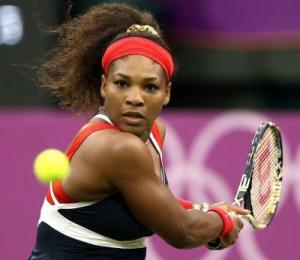 Wellington, Jan 11 - A defeat is not what world number one women's tennis player Serena Williams expected and she was left visibly agitated as she destroyed her racquet in frustration and called the chair umpire a liar after Poland grabbed a historic Hopman Cup title on Saturday. Agnieszka Radwanska shocked 18-time major champion Williams 6-4, 6-7 (7-3), 6-1 to take Poland ahead 1-0 in front of 10,867 fans at Perth Arena . Isner ensured the top seeds stayed alive with a 7-6 (12-10), 6-4 win over Jerzy Janowicz, but Poland bagged their maiden Hopman Cup after prevailing 7-5, 6-3 in the deciding mixed doubles, Stuff. co. nz reported. 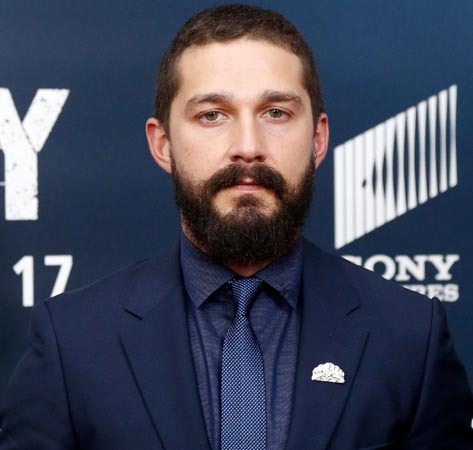 Wellington, Jan 9 - Australian singer Sia has apologized on Twitter for showing "paedophilia" in her latest video of her single ' Elastic Heart' featuring Shia LaBeouf and 12-year-old dancer Maddie Ziegler . The 39-year-old songstress tweeted her apology saying that she anticipated some " paedophilia" and all she could say is Ziegler and LaBeouf are two of the only actors she felt could play these two warring ' Sia' self states, Stuff.co.nz reported. The Australian pop singer also posted that she would like to apologize to those who feel triggered by the video but her intention was to create some emotional content, not to upset anybody. Wellington, Jan 07 : Gwyneth Paltrow's annual "detox plan" has been recently revealed at her lifestyle site Goop. The site, one of the rare places on the web where food, shopping, and mindfulness collide, also urged fans to give their digestive system a breather and get the year off to a good start, Stuff. co. nz reported. This year's detox goes a little lighter on the grains, but was still notably down on tomatoes and eggplants. The 42-year-old star stated that saying no to alcohol, caffeine, added sugar, gluten, dairy, soy, corn and nightshades (white, blue, red and yellow potatoes, tomatoes, eggplant) would be the best idea. Wellington, Jan 07 : Sri Lankan skipper Angelo Mathews has expressed that he was shocked to see rival New Zealand team turning around the Basin Reserve Test to win by 193 runs and claim a whitewash in the two match Test series. Mathews said that they were able to put New Zealand under pressure by the third day, but they missed a couple of sitters and good players make it count, adding that it was a shocking turnaround, Stuff. co. nz reported. According to Mathews, the pair of Williamson and Watling put on a record partnership and were brilliant.